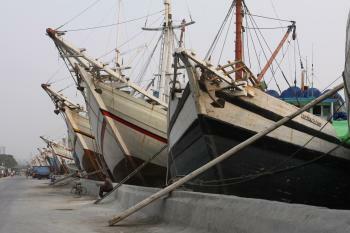 The Old Town of Jakarta (Formerly old Batavia) and 4 Outlying Islands (Onrust, Kelor, Cipir dan Bidadari) is part of the Tentative list of Indonesia in order to qualify for inclusion in the World Heritage List. I spent two nights in Jakarta and did my best to cover as many Dutch colonial buildings in the Old Batavia centre as possible. Even though the crumbling infrastructure and overall hygene (open sewers, rats, cockroaches, etc.) of the old historic centre need to be addressed, on par with the rest of the highly developed areas of Jakarta, there seems to be enough OUV and potential for this site to become a WHS. It reminded me mostly of Macao, Hong Kong or Singapore. I specifically chose a hotel close to the neighborhood known officially as Kota Tua which mostly contains Dutch colonial structures dated from the 17th century, when the port city served as the Asian headquarter of the Dutch East India Company or VOC. There's also a Chinese downtown area known as Glodok which is part of Kota Tua. I found this area very interesting to visit as I had read Simon Winchester's Krakatoa: The Day the Earth Exploded which gave me invaluable historic details and information about the most important buildings and it was of great help to give me some context. 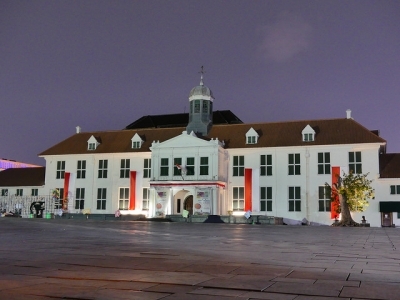 Old Batavia was the first walled settlement of the Dutch in the Jakarta area. It was an inner walled city and it was established as the capital of the Dutch East Indies. This inner walled city contrasted with the surrounding kampung or villages and rice fields. It was a center of commerce due to its strategic location within the spice trade industry in Indonesia. In 1619 the VOC destroyed the former town of Jayakarta and in 1630 the old town of Batavia was built expanding to the west banks of Ciliwung. The city was designed according to Dutch urban planning, complete with a fortress (Kasteel Batavia), city wall, public square, churches, canals and tree-lined streets. The city was arranged in several blocks separated by canals. I visited Jalan Cengkeh, previously known as Prinsestraat, which formed the central axis aligning the castle or fortress (demolished) with the City Hall (photo), which has now been converted into the Jakarta History Museum in Fatahillah Square (old Batavia city square). This building is the oldest colonial building in the square. The car-free square is the heart of Old Batavia (apart from the harbour area). There are some gable facade buildings (one of them hosting the Wayang Museum) and the beautiful 19th century Cafe Batavia, a colonial landmark with a teak Grand Salon upstairs. The food and atmosphere here were excellent. Other noteworthy structures which are worth a visit if you have the time are the Jembatan Kota Intan drawbridge, the old Jakarta Kota station, the old post office building and the Jalan Kali Besar area to the east of the 'Great river' were there are other crumbling two-storey buildings similar to the Cafe Batavia. The Old Town of Jakarta/Old Batavia comprises many sites and covers quite large area. The "common" Old Jakarta is very easy to access and a very common place to hang around for youngsters and family during the weekend. The atmosphere can be very crowded but uniquely alive with thick senses of "Old Batavia" all around. The outlying islands are also easy to access with day tour packages, departing from a fish market, nowhere near the 'common' Old Town. Within those islands, what's left of former barracks, hospitals, towers, etc are everywhere to be seen and experience. It's a nice site (or should I say, sites) to be on the list. Each of the buildings and islands embraces universal values that makes what's Jakarta today, how it was, and what could have been different.